“I thought we had buried him,” says a contemporary Egyptian historian of Gamal Abdel Nasser. 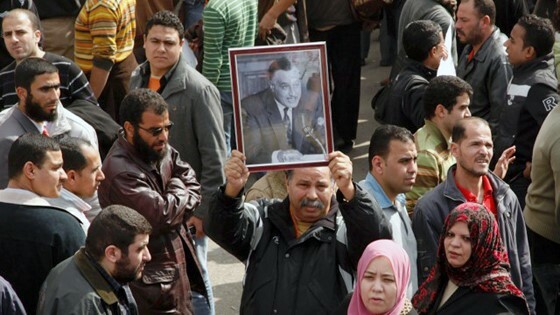 “It turns out he’s still alive.” The Arab Spring and its aftermath showed the complications plaguing the legacy of Egypt’s iconic second president (1956 to 1970), who championed Arab progress, African liberation, and resistance to Western colonialism. But what Nasser did not offer was democracy; instead, he installed the region’s first military authoritarian regime. The region’s major current tensions––the ongoing dilemma of US policy in the Middle East, the struggles between Islamists and Arab states––can all be traced to Nasser’s story. He may have launched a revolution, but it remains unfinished. Director Michal Goldman organizes a vast amount of information and poses as many questions as answers in this immersive documentary. Narration by Palestinian actress Hiam Abbass rivets us to the history and contradictions of this ongoing story witnessed by millions.